“In today’s world of breakneck change, many business transformations fail. 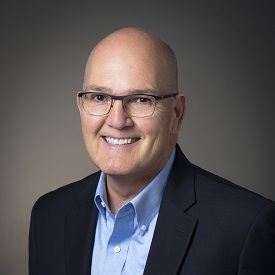 It’s not because they weren’t necessary or good ideas, but because they do not happen fast enough.” Charlie Thackston, president and cofounder of SOAR Performance Group, is here with a roadmap to help you bring quick transformation to your business. This roadmap is found in his latest book titled Change Velocity: The Secret to Leading a Successful Sales Transformation. Do you feel like you are constantly scrambling to keep up with the accelerating rate of changes in your market? Through personal anecdotes from experiences in business and life, Charlie makes organizational transformation accessible. With summary questions at the end of each chapter to help you think through each step in the transformation process, Charlie makes organizational transformation real. This book will leave you equipped to identify areas in need of change, strategize plans of action, and implement transformation in your own company. Succeeding in today’s reality of accelerating change requires change velocity. Executives chartered with leading change to accelerate growth will learn how they can create change velocity to successfully lead sales transformations in their organizations. 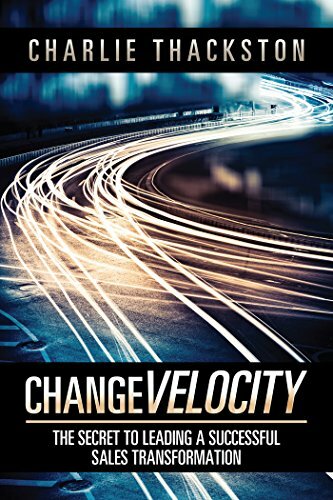 Change Velocity: The Secret to Leading a Successful Sales Transformation is now available in digital, softcover, and hardcover. See our Change Velocity Readiness Diagnostic. The diagnostic will use your answers to provide you perspective on your organization’s Change Velocity readiness. Charlie Thackston has a passion for helping companies grow. This passion led to the founding of SOAR Performance Group, a consulting and training company, where he serves as president. SOAR Performance Group has a constant focus on helping clients drive changes in go-to-market strategy, sales approach, and sales skills to achieve new levels of performance. His prior experience includes sales and marketing leadership roles for early stage venture capital backed technology companies. In these roles, he was responsible for building sales teams, sales channels, and product positioning strategies to support successful initial public stock offerings. He holds master’s and bachelor’s degrees in business administration from the Terry College of Business at the University of Georgia. Charlie lives with his wife, Gayle, in Atlanta.